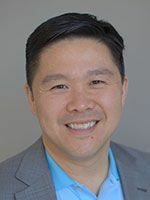 Dan Shih stands out from an unusually deep field of good candidates for the state House Position No. 1 in the 43rd Legislative District. THE voters of Seattle’s 43rd Legislative District — Capitol Hill, the University District, Wallingford and Fremont — have an enviable choice this August: eight candidates, at least six of them strong candidates, competing for a rare open House seat representing one of the state’s most left-leaning districts. Dan Shih stands out in the unusually deep field for 43rd Legislative District Position No. 1. With a superb résumé, a nuanced grasp of policy and a steady temperament, Shih has the potential to be an excellent lawmaker from a legislative district with a history of producing leaders in Olympia, including House Speaker Frank Chopp. Shih, a Democrat, is competing for a seat opened when state Rep. Brady Walkinshaw stepped down to run for Congress. Shih, a trial attorney living in the Eastlake houseboat community, graduated from Princeton and Stanford, where he got a law degree. He has worked in the private equity field and clerked for the prestigious federal appeals court in Washington, D.C. He is a partner for a boutique litigation firm, Susman Godrey. Shih and his husband, Ted MacGovern, have three young daughters. The toughest task facing the 2017 Legislature is full compliance with the state Supreme Court’s McCleary order to fully fund K-12 basic education. It’s complex stuff, but Shih clearly understands the monumental task of adding at least $3.5 billion to the state education biennium budget and complying with the court’s mandate. With a superb résumé, a nuanced grasp of policy and a steady temperament, Shih has the potential to be an excellent lawmaker from a legislative district with a history of producing leaders in Olympia"
Shih supports both a new capital-gains tax and reform to teachers’ collective bargaining, demonstrating his understanding of the deal-making needed to finish the job in the politically divided Legislature. He has similarly nuanced critiques of transportation — questioning why Seattle builds slow, at-grade trolleys, for example — and mental-health policy. He probably represents his left-leaning district with his wrongheaded opposition to charter schools, but Shih at least took the time to visit one. He has the disposition and talent to be a diligent, creative, workhorse lawmaker representing central Seattle. Shih is leading, by far, in fundraising for the race, but will have his hands full competing against well-qualified candidates, including Tom Pitchford, a prominent LGBT activist, and Nicole Macri, a longtime administrator at the Downtown Emergency Services Center. Dan Shih would be a worthy and effective lawmaker representing the 43rd Legislative District. Information in this article, originally published June 26, 2016, was corrected. A previous version of this story incorrectly spelled Thomas Pitchford’s name.